Aviation fans lose one of the greatest pilots who ever flew. If you know aviation history, you may remember that he was the backup and the chase pilot for Chuck Yeager’s flight through the sound barrier. If you’re in the military, you’ll probably remember that during his career with North American Aviation, he toured bases to instruct pilots how to handle the dangerously finicky F-86 Sabrejet. If you’ve read his biography, Forever Flying, you’ll no doubt remember the part during World War II, when, after his Spitfire was shot down and he landed in a German prison camp, he escaped by firing up a Focke-Wulf Fw 190 and flying away in it. But most of us in the aviation community who are mourning Bob Hoover, who died today at the age of 94 near his home in Southern California, remember him as the extraordinarily generous star who seemed never to tire of speaking to the crowds always gathered around him at Oshkosh and Reno—even recently at marathon parties that lasted long into the night. He was kind and sunny and funny whether he was speaking to two fans or 2,000, and he never refused a request for an autograph. 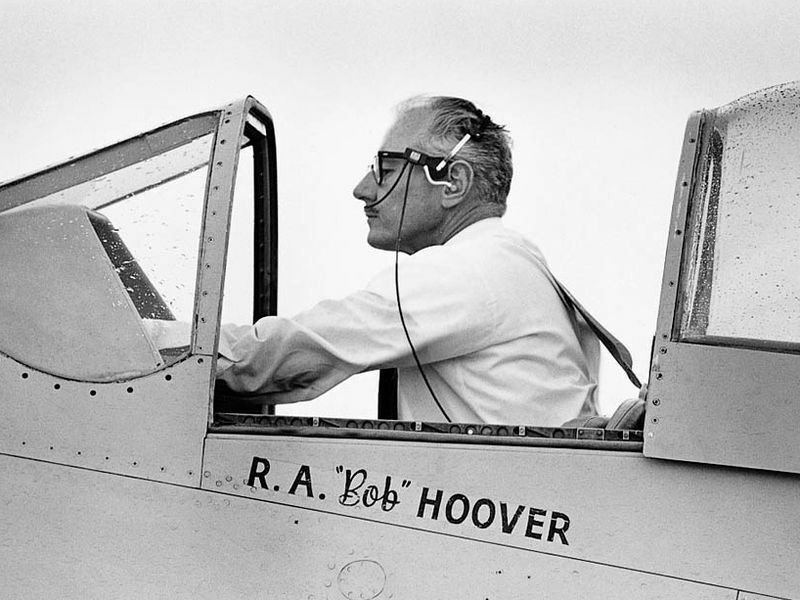 Jimmy Doolittle called him “the greatest stick and rudder man who ever lived.” But maybe his proudest accolade is that in the competitive world of flight and airshow performance, R.A. “Bob” Hoover was universally loved. Read Debbie Gary’s tribute to Bob Hoover, Simply the Best. He’s also featured in our stories 10 All-Time Great Pilots and Deadstick Landings. Finally, toast to a legend while watching Hoover perform a barrel roll as he pours a glass of tea. Is There a Doctor with a Phone Onboard?